The House passed the bill Thursday, 227-205, with 13 Republicans joining the Democrats in opposition. Meanwhile, the Senate Finance Committee has voted the bill out of committee on a partisan 14-12 vote. The Senate is expected to bring the bill to the floor the week of Nov. 27. Both chambers are now adjourned for the Thanksgiving holiday. While neither bill impacts tax incentives for conservation easements, there are some significant differences between the bills. For example, the House bill would essentially repeal the Johnson Amendment, which keeps nonprofit organizations from engaging in partisan politics. The Senate version of the bill does not impact this important provision. The Alliance opposes attempts to weaken or repeal the Johnson Amendment. You can learn more here. In other areas, the bills align. Both versions would double the standard deduction, which could problematically reduce the number of taxpayers itemizing their deductions from 40 million a year to as few as 5 million a year. This means that taxpayers who currently receive a deduction for charitable contributions to a 501(c)(3), but choose to stop itemizing, would no longer be eligible for the deduction, which could have a huge impact on end-of-year contributions for all nonprofits. Click here to learn more. 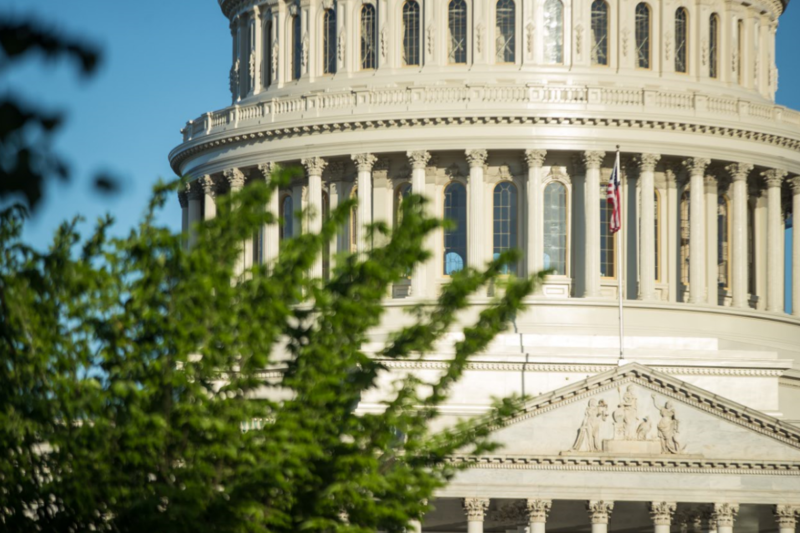 We remain concerned about the unintended consequences the bills could have on charitable donations, and we are all hands on deck monitoring the progress on Capitol Hill. The Land Trust Alliance will fight any attempts to undermine or otherwise impact the conservation easement tax incentives. In the meantime, if you have not yet reached out to your congressional delegation to voice opposition to any weakening or repealing of the Johnson Amendment, please do so. Of course, I greatly appreciate you getting back to me with feedback from Congress so we can track where we stand. You can email me at lfaeth@lta.org. As we head into Thanksgiving week, I want to again express my thanks to you for being part of the Alliance team. It’s an honor and a pleasure to work with all of you in the name of nonpartisan land conservation.